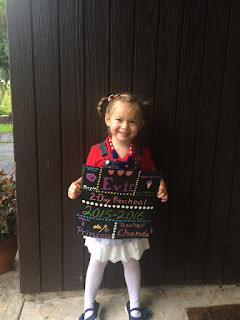 My Life with Evie and William: Back to School! I admit it, I am a little gushy! I was sooooooo excited to get back to preschool after two months of being off, and at home, most of the time. We really love going to preschool, just to get Evie out with other short people, and getting myself out with other tall people. 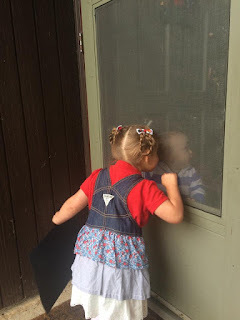 Whether I am staying to participate and making friends with the other adults, or just having time to go run a couple errand with only William, it is a really freeing. we picked up her desire intensified. Every couple days (mostly when she was bored) she would ask me when she was going to go back. I know she missed her friends and the stimulation of her days in class, nothing compares to 15 of her peers running around! 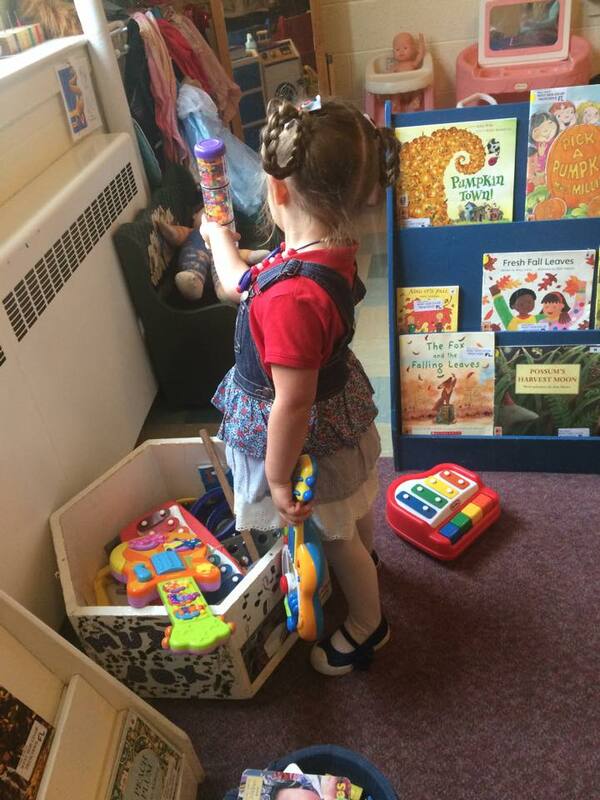 This year I am also on the board of the preschool, so that is kind of fun, and a huge responsibility. It is nice to be "in the know" and to have a little say in things, but I still kind of feel like the little kid at the table. Maybe one of these years I will feel like an adult! It s a bit of a challenge schedule wise, but I think it is for the best. Evie started preschool next week with a half class on Monday, it was kind of crazy with all the parent and all the kids present, but we were still so happy to be back! Since then we have had two classes, one in which I participated, but it does feel back to normal! Though I do notice a small difference, this year it seems like the kids are so young! Now last year we didn't start until mid year and every one else was accustomed to the program, so she felt young. This year Evie is the oldest in the class instead of the youngest, so the comparison is completely skewed. However I give it a few weeks and I think it will level out much the same. Her first days proceeded completely typically, Evie is her usual curious and independent self she immediately jumped right in and began to play with the other kids, no need for formal introductions for this girl! I have a feeling we will make great friends in this new class, just like we did last year.